Are You Asking Yourself "How Do I Make Money Online?" Thousands of people today make good money working online. You too are no exception and can earn a living from the same means. Discussed below are several ways you can use to make money online and never have to ask, “How do I make money online?” again! 1. Make money writing: Freelance writers make a decent living writing articles and press releases that are published online. Freelance sites such as Elance, Odesk and iWriter are good examples of workplaces where writers get unlimited and paid work from. You too can make good money writing, as all you need is a computer, good research skills, an internet connection and your mind. You don’t have to spend a dime to make money writing. 2. Build websites: More and more businesses are looking for great web designers to create websites for them. Anyone with the knowledge on how to create websites can make good money from building websites for these businesses and many other entrepreneurs who need your service. 3. Create mobile apps: Almost everyone today owns a smartphone. Most of these users are actively looking for smart apps to install in their smartphones. As a developer, you can develop apps that users can download from app stores and use on their smartphones. A lot of creativity is however required when developing these apps. 4. Sell on EBay or Amazon: You can also make good money from selling stuff online. Anything ranging from clothes, watches, computers, software and even antiques can be converted into cash. EBay and Amazon are great marketplaces where post whatever products you have to sell for free. There are also ready customers who make orders on items they are interested in, make payments then await for their package to arrive. All you have to do is setup a merchant account in either of the websites. How Do I Make Money with Affiliate Marketing? 5. Affiliate marketing: There’s a lot of untapped money from online advertising. Google, Amazon and Yahoo are some of the biggest advertising companies that pay good money to advertise on one’s website. To make money from these, you will need to create a website then publish highly informative and relevant information on a product you with to promote. Companies can use your website to create awareness about their products, while you too can sign up for Google AdSense, infolinks or Chitika to make extra income from their paid ads. 6. Become a Virtual assistant: You may have seen companies that provide a 24hr customer support to clients and wondered how they operate. The only secret with these companies is that they outsource their customer support services to persons (Virtual Assistants) within other time zones. You too can become a virtual assistant and make money online. The company you will be working for provides all information and training needed to enable you help their customers and clients from your computer at home. 7. Become a blogger: Bloggers make money writing about things they love. You can write about almost anything and get paid for your work. Bloggers review software, online companies, products and other services offered through the internet. These blogs may be published in a personal blog or in review sites that pay you per review or blog written. 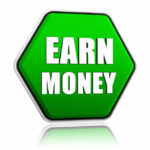 The more traffic your blogs receive, the higher the passive income you are most likely to earn. 8. Online surveys: Research companies use the online media to collect information from consumers through surveys. Participating in these surveys gives you great an avenue to make good money. Most of these surveys are hosted in survey sites where reviewers are given a chance to test products, or give their views then paid for their participation. This is one of the easiest ways of making money online today. 9. Micro gigs: These are simple tasks performed online based on one’s capability and knowledge. Fiverr is an example of a marketplace where you can advertise your expertise and find clients who wish to use your skills. Mturk is another great option where you can complete tasks such as rewriting client orders, or proofing posts already posted on the Amazon website for relevance. These are just but a few ways that many people are using to make money online. You do not necessarily have to spend any money to earn decently through these methods. If you are however ready to spend some money to make some more, you can then try online Forex trading or Binary Options trading to make good money. Some training is however required to master how these trading methods work and how to make money from the same. Does Affiliate Article Marketing Still Work?